Peter Adams’ career can truly be described as meteoric. When most musicians are still at school, the 16-year-old Peter was playing in the orchestra of London Festival Ballet. By the time he was 21, he had become principal cellist of both the London String Orchestra and the London City Ballet. Perhaps even more remarkably, he became in the same year professor of viola da gamba and baroque cello at the Royal Academy of Music – the youngest ever professor in the Academy’s history. 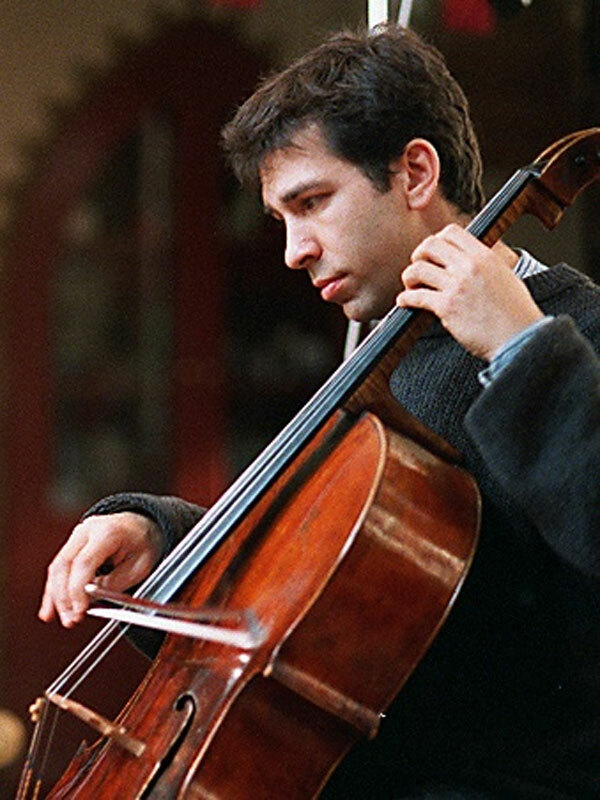 In 1988, Peter left England to study for two years at Indiana University where he took lessons and masterclasses with Tsuyoshi Tsutsumi, Janos Starker, Paul Tortelier and Rostislav Dubinsky. Upon his return to England, he undertook a period of study with William Pleeth. Peter was a founder member of the Rogeri Trio and is currently a member of the Bochmann String Quartet – both groups with a large list of recordings and broadcasts. As well as regular performances with the Adderbury Ensemble in its early years, Peter has appeared as guest principal cellist with a variety of orchestras all over Britain. He is the principal cellist of the English String Orchestra, Brighton Philharmonic, Oxford Philomusica and the City of Oxford Orchestra. Peter’s interest in the viola da gamba continues with solo appearances as the director of the Elizabethan Consort of Violas. Greatly sought-after both as a cello teacher and as a chamber music coach giving masterclasses, Peter works with a wide variety of students and young professionals across the country. He is currently teaching cello for Oxford University and for Oundle School.